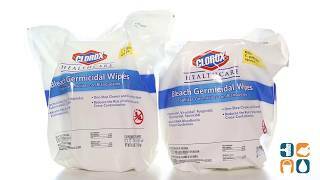 These germicidal wipes are EPA-registered to kill C. difficile spores in 3 minutes. Kills bacteria and 14 viruses in 30 seconds to 1 minute. Kills TB and fungi in 3 minutes. The ready to use 1:10 bleach solution concentration is recommended by CDC guidelines. No pre-cleaning required. Tested for surface safety on common healthcare surfaces and equipment. Anti-corrosion agent ensures compatibility with hospital grade surfaces. Can be used on hard, nonporous surfaces in healthcare facilities. 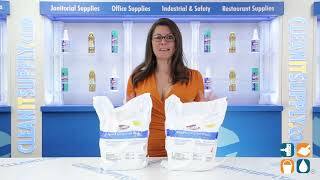 Large 12" x 12" wipes come 110 to a pack and 2 packs per carton.